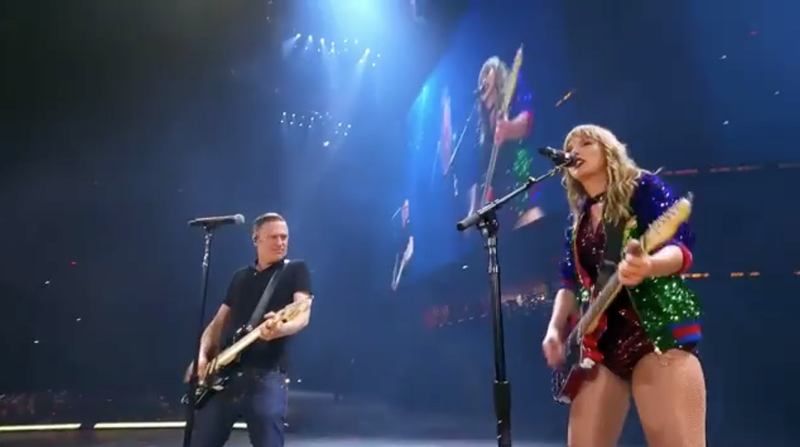 American popstar Taylor Swift had a show at Toronto’s Rogers Centre over the weekend where she was joined on stage by Bryan Adams. The crowd was up for a great treat when Taylor Swift introduced Bryan Adams for a duet of one of her favourites. Both Adams and Swift shared videos of their performance on social media and it looks like people that weren't there all wished they were. Some other exciting videos shared on social media by the stars showed rehearsals and, apparently, Adams' involvement was last minute according to Taylor Swift's posts on Instagram. Also See: Demi Lovato forgot lyrics to 'Sober' days before alleged overdose!